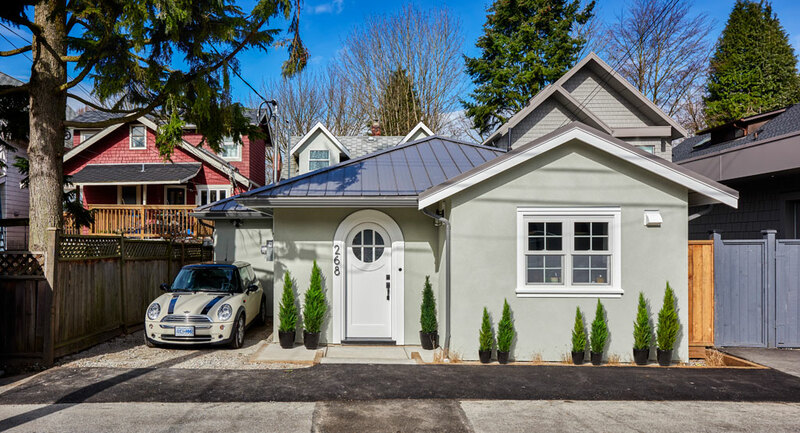 This is a beautiful tiny cottage built by a mother/daughter duo called the Quintessential Laneway House. It’s a laneway house in Vancouver, British Columbia, Canada by SmallWorks. The small house features one bedroom, one bathroom, and a large open space for living, cooking, dining, and entertaining. 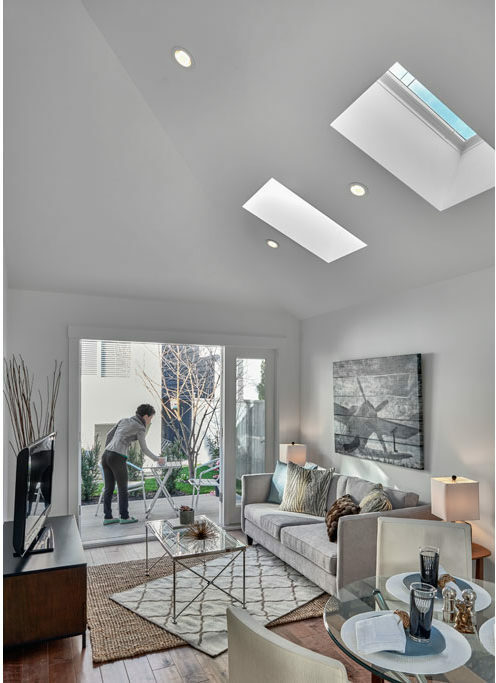 To explore more amazing small homes like this, join our Small House Newsletter. Enjoy! Oh my god this is perfect! How I envy them! A very well done unit. I have just updated a unit in a seniors park that I am using a Vinyl Plank that looks lie this floor and am very happy with it. I feel there is a huge advantage to laneway and mother-in-law housing in cities with the possibility of Air B&B functions. do you have plans for this cottage? Really nice house with a nice finish. Though I can not make out the layout from the photos. Would be nice to see the plans. This is a perfect little home! Very nicely done. since no one knows the cost, I would guess having it built would be around $250,000 plus $250,000 for the lot where it sets. the homes you see surrounding it run over $750,000 and they are right up against each other. The area is jaw dropping beautiful and the price is ridiculous and it wouldn’t surprise me if the owners also have a summer cottage by a huge lake near the mountains. I’ve been checking homes in Newfoundland for decades and a shack near St Johns would cost $200,000 and unless there is a bidding war. The bed and breakfast in Flat Rock right off the ocean once called Tide’s Inn sold in 2007 for $750,000 and it had no yard at all.